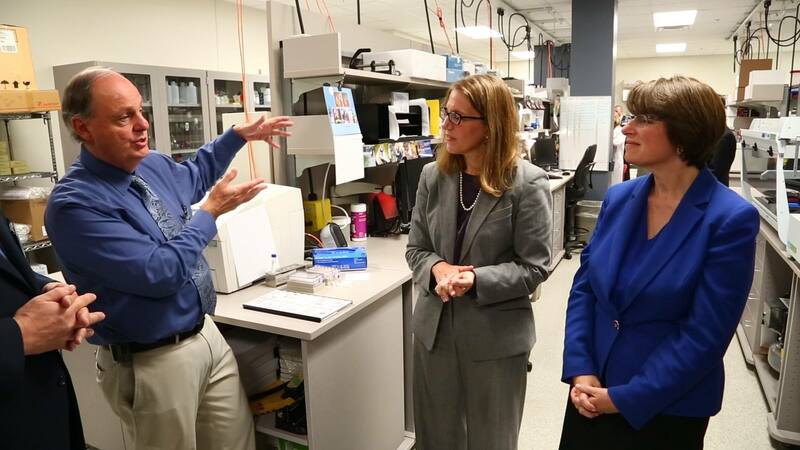 Today, U.S. Health and Human Services Secretary Sylvia Burwell and Sen. Amy Klobuchar, DFL-Minn., toured the Mayo Clinic Biobank, discussing the Precision Medicine Initiative with leadership from the Mayo Clinic Center for Individualized Medicine, and Mayo Medical Laboratories. Mayo Clinic President and CEO John Noseworthy, M.D., and Keith Stewart, M.B., Ch.B., director, Center for Individualized Medicine, guided the walking tour of the Biobank and Biorepositories Program. 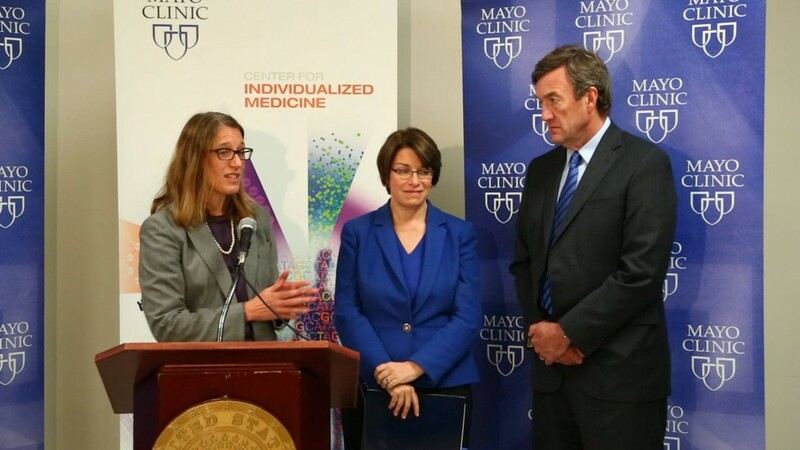 Secretary Burwell and Sen. Klobuchar also had opportunity to engage in conversation with Mayo Clinic leadership about payment reform and delivery system reform during a round table discussion. Precision or individualized medicine is at the core of a major White House initiative and is a major focus of the National Institutes of Health.